As much as blogging has been a money-losing proposition (because food is so darn expensive! ), there are perks - like being invited to various dinners. 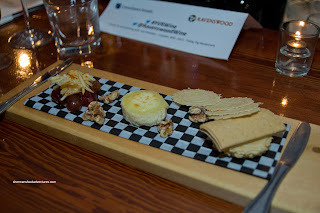 This was the case with a recent soiree at the Flying Pig hosted by Ravenswood Winery. Viv and I were treated to a 4-course formal meal with wine pairings (naturally from Ravenswood). There were a few familiar faces, including Kevin and Terry David Mulligan (who is quite the wine connoisseur). Now, I'm not going to pass myself off as any wine expert, because I'm not. However, I do enjoy wine, knowing what I like and do not like. Having been to the Flying Pig for lunch, I was excited to see what was in store for dinner. 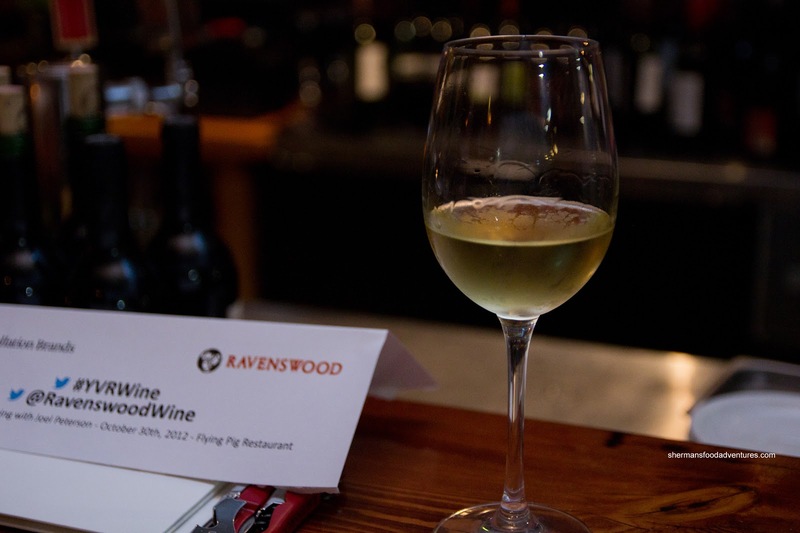 Before the food arrived, the wine was already flowing with the Ravenswood VB Chardonnay 2010 and the VB Zinfandel 2009. I think I might've only sampled one of them as I was a bit late arriving. 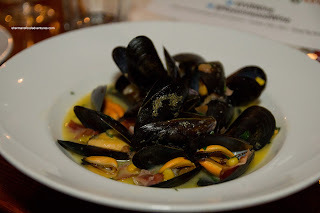 In terms of the food, we started with the Quadra Island Honey Mussels with tomzito corn and speck broth and a side of matchstick frites. The mussels were sweet and plump with saltiness provided by the pancetta. An extra burst of sweetness from the corn niblets was a nice surprise. 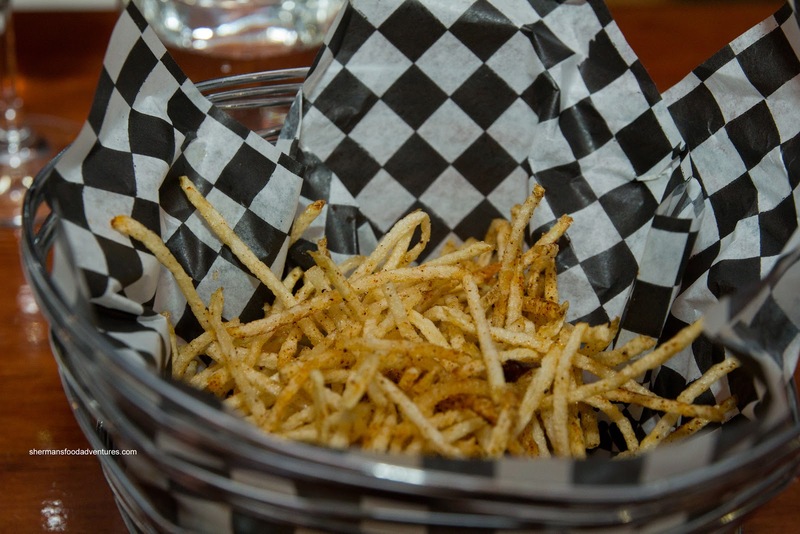 The accompanying frites were crispy and light, yet very salty. Fortunately, our wine pairing, the Sangiacomo Chardonnay, was fruity and strong which help offset the saltiness. Our second course started off with 2 wine pairings which included the Lodi Zinfandel 2009 and the Sonoma Zinfandel County Series 2008. Viv and I disagreed as to which one worked better with our second course - the Bromme Lake Duck Duo consisting of braised leg and sweet pea garganelli with crispy duck breast cases in a red wine reduction. Regardless of wine, I think we disagree in general on a lot of things! LOL...I liked the Lodi Zinfindal since it went down smooth with some berry notes. Viv preferred the other wine indicating it had more pronounced tannins. As for the duck, the silky reduction was rich and balanced. We found the braised duck a touch stringy, yet meaty in flavour without being salty. The breast was moist while the skin being a bit chewy. Soaking up the delicious sauce was the al dente garganelli. 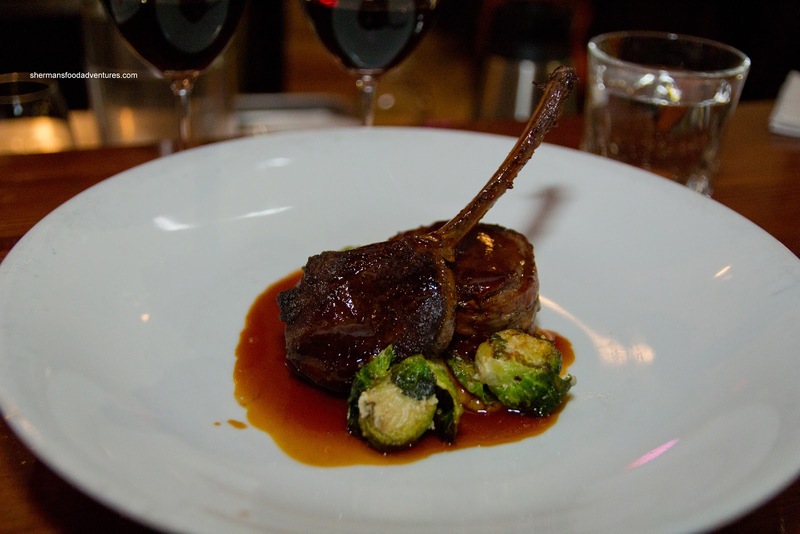 Onto our 3rd course, we had the Duo of Vension consisting of bacon wrapped venison striploin and a skillet roasted chop with parsnip puree and wild cherries. Served with this dish was the Barricia Zinfandel 2008 and Old Hill Zinfandel 2008. Again, Viv and I did not agree where I thought the Old Hill was more balanced than the really strong Barricia. Moving onto the venison, the chop was tender and cooked beautifully. The sauce had a considerable impact in terms of depth and consistency. The cherries definitely added a welcomed level of sweetness. We were surprised to find the striploin to be equally tender since venison is quite lean (being cooked rare didn't hurt either). 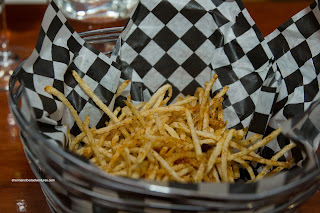 Also, I loved the fried brussels sprouts on the side. 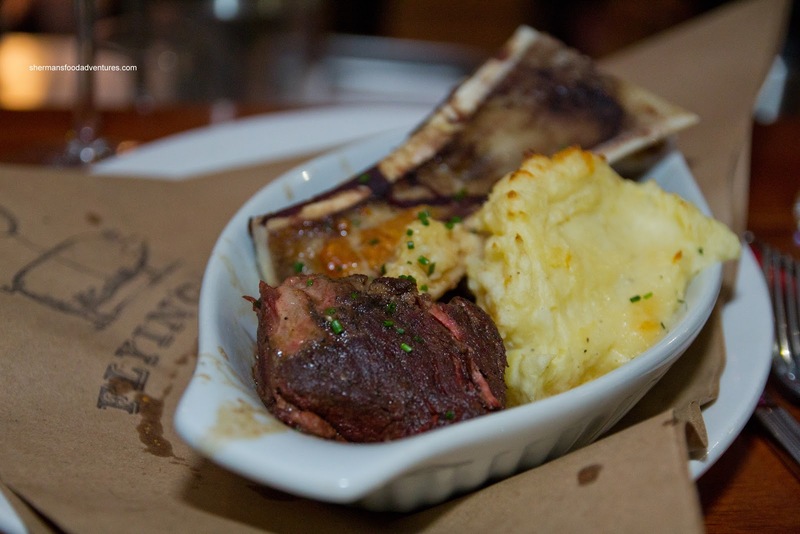 With the onset of a meat coma, we were presented with the Braised Organic Beef Short Rib with aged Canadian cheddar mashed potatoes and Dry Creek Valley bone marrow jus. The best part of this dish was the bone marrow as it was fatty, roasted in flavour and just downright tasty. We found the mash to be a touch dry while the short rib was meaty, mostly tender and dry in some spots. The au jus was flavourful where we could definitely taste the wine (in a good way). 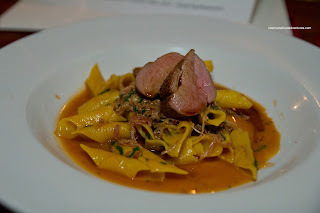 This was served with Teldeschi Zinfandel 2009 which definitely was full-bodied with strong tannins. Lastly, we were presented with the Chevrot Cheese Brulee with candied pecans and fresh fruit. Personally, I've never been a fan of cheese for dessert, but this was okay, although Viv didn't like the gaminess of the Chevrot. The wine pairing of the Late Harvest Gewurztraminer was sweet as expected. 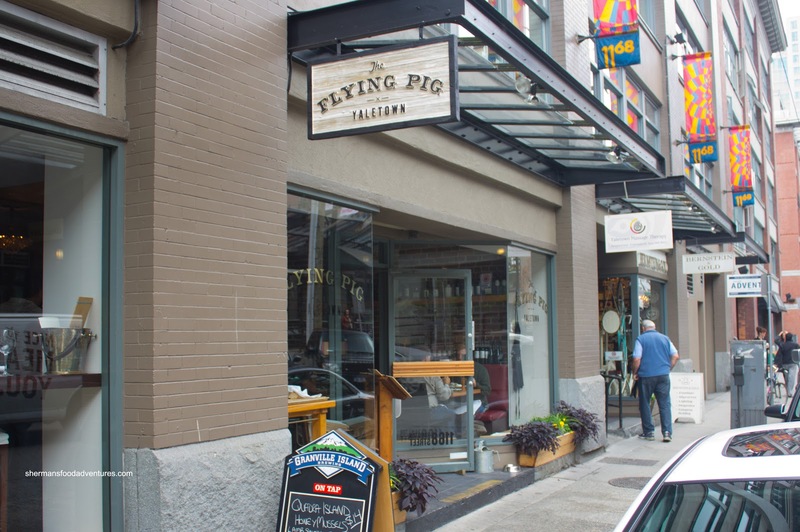 I won't deny that this was definitely a treat where there was good food to go along with the many different glasses of wine.